Legacy energy producers have continued to claim that wind and solar are only competitive because of government intervention. 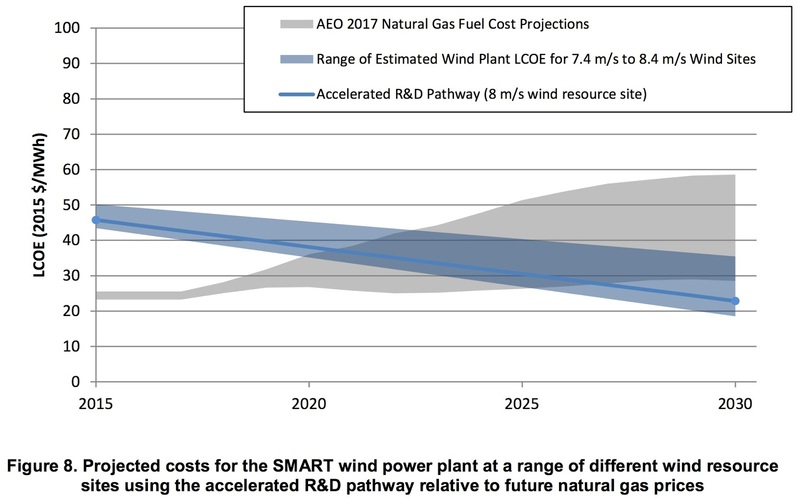 The cost of wind generation continues to fall, solar costs are falling, too, and the cost of coal-power energy has seen no movement, while the cost of building and maintaining nuclear plants has gone up. And none of those conclusions reflect subsidies and tax credits applied by government. The conclusions come from Lazard (PDF), an asset management company that publishes cost estimates for various types of electricity-generation assets each year. Lazard’s numbers reflect the Levelized Cost of Energy (LCOE), which averages the estimated costs of construction, maintenance, and fuel for electricity-generating assets over the number of megawatt-hours that each asset is expected to produce over its lifetime. 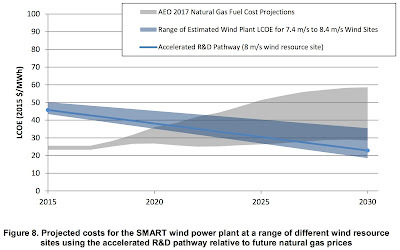 In other words, the LCOE is the lifetime cost of a turbine divided by the amount of energy that turbine will produce over its lifetime. LCOE is a good way of comparing electricity generation sources that vary dramatically in cost to build and cost to maintain. The result, tracked over years, is one way of gauging how the US energy mix is changing and could change in the coming year. Though the new presidential administration was expected (and still is expected) to be a boon to coal and nuclear energy, those efforts are still mired in the political process. And even if they succeed, thwarting the cost advantages of wind and solar energy while propping up coal and nuclear power will require not-inconsiderable amounts of intervention from the US government. Cost ranges of alternative and conventional sources of electricity. According to Lazard, in the last year, the cost of onshore wind has fallen six percent and the cost of utility-scale solar has fallen six percent, too. Those cost reductions are slower than reductions in previous years, but the cost of coal-fired generation remained stagnant in 2017. The cost of building and maintaining nuclear plants has actually increased in the last six years as well. Lazar wrote that “the estimated levelized cost of energy for nuclear generation increased [approximately] 35 percent versus prior estimates, reflecting increased capital costs at various nuclear facilities currently in development." Facilities like the incomplete Vogtle and Summer nuclear plants made headlines this year due to their financial troubles in the wake of the bankruptcy of nuclear reactor designer Westinghouse. Still, the cost of energy storage hasn’t fallen quite as quickly as renewables advocates might have hoped. That means that for now, individual renewable energy sources can’t always compete with dispatchable energy on price alone. This has created a sticking point politically. US Department of Energy Secretary Rick Perry has contrived an argument that reliably meeting US energy demand means artificially propping up coal and nuclear energy, while most grid operators contend (PDF) that diverse renewable energy sources and natural gas can meet demand with dwindling (but still considerable) support from coal and nuclear.But some encouraging numbers can be found in the energy storage analysis, too. 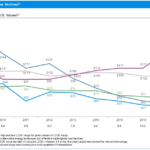 Lithium-ion battery cost has declined a lot in recent years. In fact, Lazard says that lithium-ion batteries are generally the most economical to deploy, with a few application-specific advantages for zinc and vanadium flow batteries. Those numbers are just for utility-scale storage though. 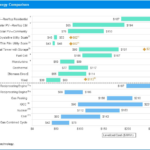 Commercial and residential storage is still incredibly expensive (and, currently, residential energy storage makes little economic sense for most US utility customers). Storage is still nascent though. “Industry participants expect costs to decrease significantly over the next five years, driven by scale and related cost savings, improved standardization, and technological improvements,” Lazard writes, adding that increased demand could also spur some of that decrease in costs. Still, “the majority of future cost declines are expected to occur as a result of manufacturing and engineering improvements in batteries,” Lazard asserts. 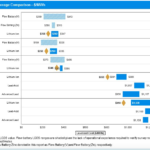 Those improvements may be significant, too, as Lazard reports that capital costs associated with installing lithium-ion batteries “are expected to decline as much as 36 percent over the next five years,” according to industry watchers that the firm spoke to.